Picked this up today at 8.45 in the morning at The Maelstrom - EU. I found it immediately next to the cave 'The Amber Womb' on the Venomous Ledge in the Dread Wastes. It was hidden in the bushes (so hover with your mouse to see if you get a scroll wheel). The bushes are immediately to the left of the entrance of the cave. Cords: 28.88, 41.99. From what I've seen and heard this is the only spawn location known so far. If the item is up, and you hover over it with your mouse, you don't only see a scroll wheel but the name of the sword will appear to. 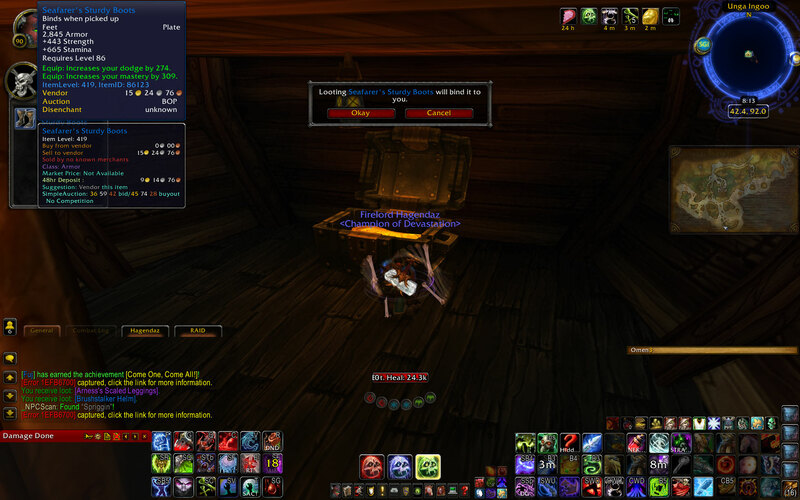 The item is hold in a container www.wowhead.com/object=213972/blade-of-the-poisoned-mind, which shows a map with the location where I found it as well. Can anyone confirm the respawn time on this? I'm guessing once per day. It's contained in Blade of the Poisoned Mind. What was your rep at the time that you picked these up? I have been searching for all 9 for 4 days now with no success, wondering if you have to be revered to see these since you don't unlock the last 2 guys until then. Seems that Rep is not an issue based on a reply in another thread. I managed to pick this up for my level 87 Fire Mage and combined it with Umbrella of Chi-Ji. The combo seems good enough that it might last until heroics (unless I get lucky and win Firescribe Dagger). I admit being a fan of spellcaster swords, though, as rare as they seem to be. Does anybody know if NPCScan can be set to trigger when the lootable shells spawn on the ground? I'm thinking that it would be similar to when it would trip for the statuettes in Uldum. Been trying to get this for a week now, never seen it... does it really spawn in that purple bush? 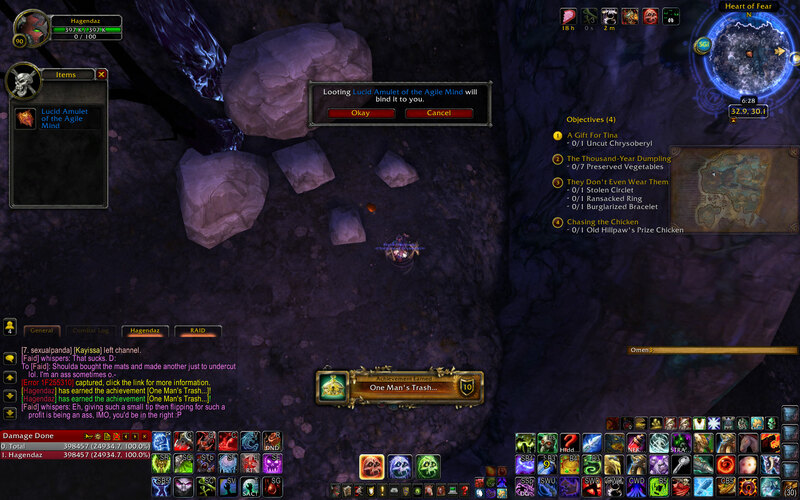 Got this at 5:23am server time (Hagendaz - Argent Dawn US) on 10/17/12. This particular rare is found at (28.8, 42.0) hidden within the bush to the left of that one cave entrance. I have submitted a screenshot though you can also find it Here. Ok I have camped this item non stop now for 32 hrs. The ONLY time I have left the computer was to cook dinner in which I am able to swirl the 46in monitor so I could see it. And to use the restroom of course. Several others had come by but nobody even looked twice at the bush. Most of the items have multiple spawn locations. Are we positive this is the only spawn point ? So far every item I have looked for its not been a problem. Staff of the hidden master has still been elusive. I camped that for over a week, several times for more than 12 hrs. I know it has many spawn points but its bad luck I guess. Noticed no one said that they had any looting trouble with this one, today after server reset about (10:02) server time i auto looted this, got the achievement and received no loot.. not even a loot table. Hopefully blizzard will refund me an item. Question>> Does this area have any sort of phasing ? If so is it possible that one can only obtain this if in the proper phase ? Edited again.... at 33 hrs now and NOTHING WTF! This is NOT the only spawn location.. Cant be the only spot. If ANYONE tells you that it is they are lying. No item thus far has such a long spawn timer. Not in the entire history of world of warcraft has anything been set to this time frame. I submitted a screenshot which clearly shows the location. I've looted half a dozen of these items and this one is the hardest to see. Barely any sparkles visible. It's in the clump of bushes to the left of the big doorway in the mountain. When you fly by to see if its up, make sure you hover your mouse over this spot as you may otherwise completely miss it. Make sure to zoom in and really take a good look! This weapon is hard to see, I almost flew away and left it behind. Just got this item on Crushridge server at 2:54pm server time. Item is located at 28, 41 infront of the Amber Womb cave in Dread Waste in the purple bush to the left of the cave. Make sure to mouse over it as it is hard to see. Got it this morning. Logged in to see if it was there and it wasn't. Waited about 5 minutes and was about to log out when I saw it appear. Total time camping was only about 1/2 hour. Just good luck for once. This might help with spawn times on this item. I was camping last night around 2:30 am EST. I had a guildie that was running around and literally found all of the items last night for this achievement - (Theory - Ravenholdt). I logged off at 2:35 am and got ready for bed. 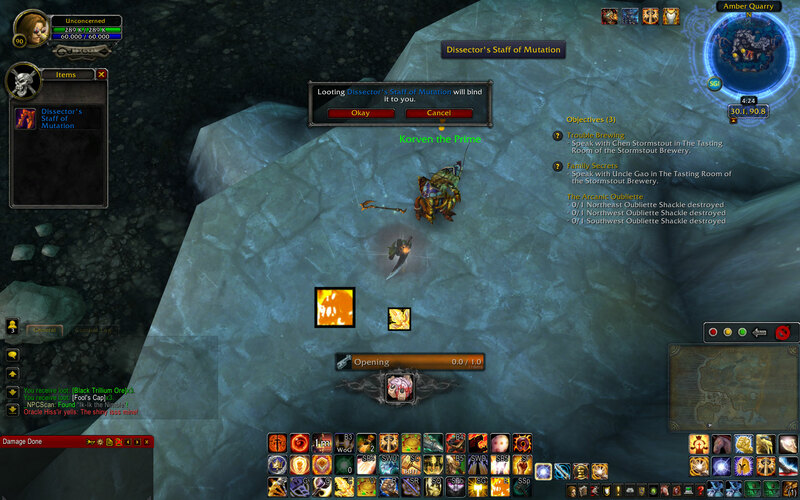 I decided to pop on to check once more at 2:54 am and it turns out he had looted the blade MINUTES ago! 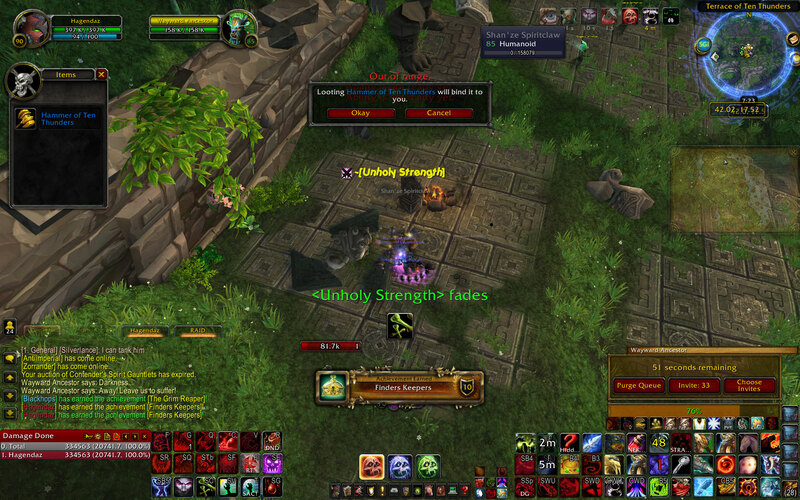 It was the last BOA I needed, as I already have the title but have alts to level. I woke up this morning around 8 am and had the browser window in windowed mode while occasionally hovering over the bush. At 9:20 am, the blade spawned AGAIN. 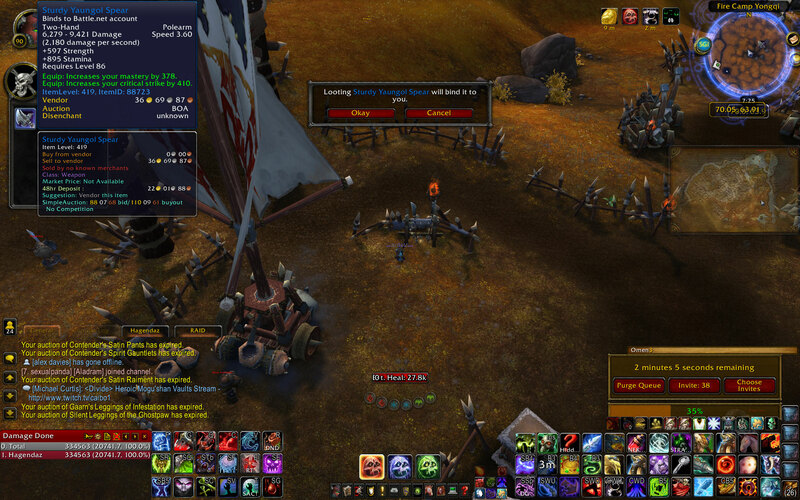 tl;dr: Spawned once at ~2:53 am, spawned same day again at 9:20 am. Spawn time about 6.5 hours. Hope this helps! 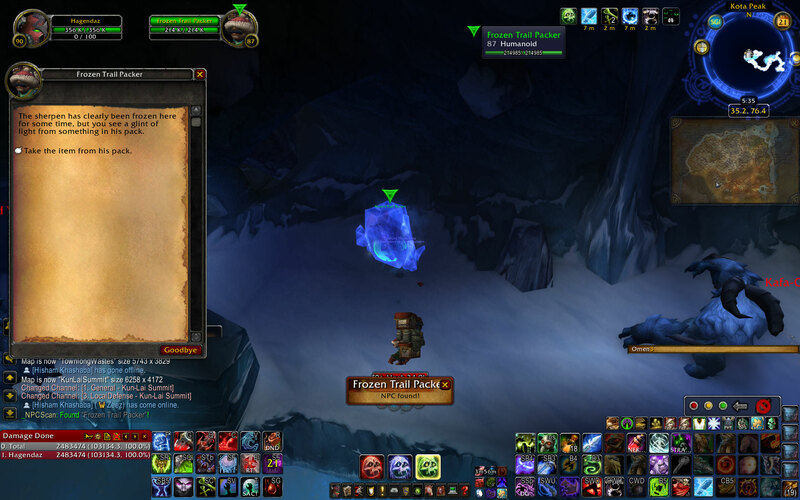 Blade of the Poisoned Mind is one of the Lost Treasures of Pandaria that needs to be found (or any other Lost Treasures until you have 20) in order the earn the Achievement Is Another Man's Treasure. 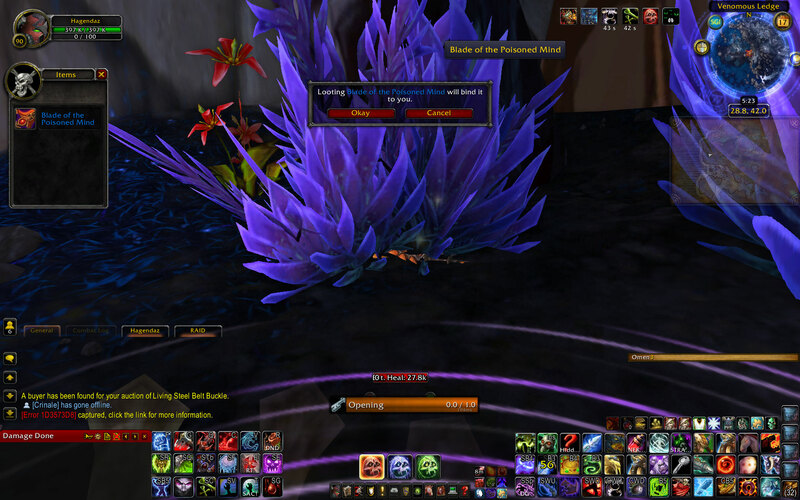 Blade of the Poisoned Mind is Located in The Dread Wastes, a zone on the Continent of Pandaria, hidden carefully in a Purple Bush at the Entrance of the Amber Womb on the Left. It is pretty well tucked away in the Bush so check carefully and look for the Obvious Sparkle giveaway. Make sure not to click on to open and move, as interrupting it without losing can sometimes cause it to vanish, as the game thinks you looted it. Exact coordinates are 28.8, 41.9. This is a good entry Level M.o.P weapon, and best of all is that it binds to your account, granting Alts as low as Level 86 access to powerful ilvl 450 weapon which will work as far as Level 90, till they Loot the Heroic Dungeon ilvl 463 Items or better. Dread Wastes is Home to 10 Padarian Lost Treasures, 7 of which Bind to your Account. 6 Weapons and 1 Neck item Lucid Amulet of the Agile Mind. Please Remember that unlike Pandarian Riches, these aren't Guaranteed to always be there. Lost Treasures work on a Re-spawn Timer that Varies from server to server, so remember to check back later if its not there. Since it's somewhat hard to tell from the screenshots and didn't see it in other comments. The blade is in the smaller of the two bushes right here. I had been keeping a keen eye on the larger of the two. This is one of the few remaining main hand only weapons as of 5.2. As to why it was skipped? my guess is that, potentially, it would be slightly too powerful in a spellcaster class with access to dual wield (are there any left?). Looted at 1:15 server time at 28, 41 on 1/06/13. I found it in the smaller bush to the left of The Amber Womb entrance. Holy Pallas: if you cant get Carpace Breaker to drop, use This 1 untill you get it! Malik's Stalwart Spear (OR give both to Wrathguards!) for an amazing matching weapon look for both the master and his faithful servant. In the screenshots I've seen with the sword's location, there's usually a red flower next to the tree. I've been looking for the blade, and there's no flower by that bush. At first, it made me think that I was looking in the wrong bush, but it's definitely the right one; it looks exactly like the screenshots, to the left of entrance to the Amber Womb, except that the red flower is missing. I wonder if that means anything. Add as many as you like and they won’t disappear each time you pass over them. You can also drag the Waypoint Arrow that’s in the middle of your screen to an area that’s less annoying since it’ll pretty much be there until you clear all your waypoints. Hope this helps! 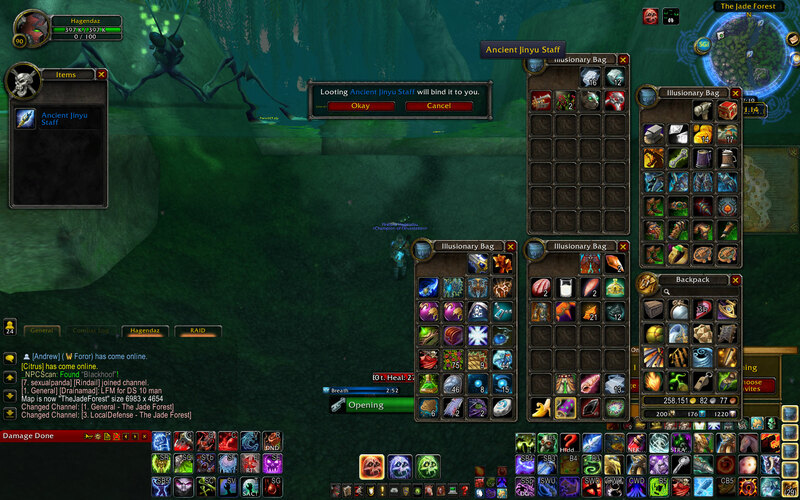 Looted 6:38 AM on Wyrmrest Accord. Sadly, in my joy at having finally attained the blade I'd been camping on and off for weeks, I did not get a screen grab. As other have said it was very well hidden and provided a very limited loot 'sparkle'. I had to tilt my camera around a bit to fully see it. It's really a beautiful blade and will be certainly be invaluable if you, like me, have caster alts idling around Jade Forest neglected. Hagendaz1337's screenshot and the screenshots on the page are not accurate. There are no red flowers and the bushes are smaller. There is also a tree. Acquired this earlier today it was to the left of the cave entrance. It's the only pandaria-era one-handed INT BoA weapon for levelling, and pairs up quite nicely with the Umbrella of Chi-Ji. Confirmed still good information after 2 years from first poster. Seems like the early morning is the best time to find this as not many people are on (North American servers and times anyways!) and it has a relatively fast-ish respawn timer.